খেল খতম পয়সা হজম ! My personal code is, life is too long not to do what you want. It’s too short not to do what you want. This is a post in the public interest. It is my view that continued spending of the taxpayers’ money on the Big Bang Cosmology is no longer a matter of just science fraud or academic fraud, but that it verges on malfeasance. However, I am willing to post a rebuttal of this opinion from an appropriate quarter. If you have just paid your taxes, this is a good time to think about this. In a rather twisted and roundabout way, NASA has officially and formally rescinded the Nobel prizewinning discovery of John Mather. They are being forced to admit this to the World, but they are trying to mask the message to soften the blow on themselves. They done told you that they committed the greatest fraud in human history, and parlayed it on the World. If you do not “get it”, it is not their fault. And as far as Mr. John Q. Citizen or Ms. Jane Q. Citizen is concerned, he or she will never be able to get it unless someone “in the know” explains it to them. And since nobody that can explain it to you will do so, NASA can escape unscathed. That is the diabolical strategy. But I will translate their spinned message into plain language that we all can understand. 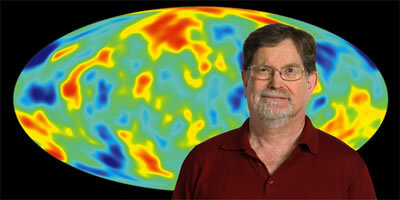 In an official NASA public education site updated February 19, 2009 that just came to my attention, on the subject of Big Bang Cosmology, there is this very strange and very sudden departure from the very loudly proclaimed story line of the past: There is no longer any mention of the picture-perfect Big Bang Blackbody Spectrum, the discovery of John Mather. There is no longer any mention of the 2.735 ± 0.060 K temperature that Mather clinched with 50 ppm accuracy of measurement, or the resulting 13.73 ±. 0.15 Gyr “age of the Universe” that had the force of an official birth certificate. All these copious and pompous sound-bites of earlier days have disappeared. All references to John Mather’s actual Nobel-winning discovery have now been obliterated. His Nobel Prize is still mentioned, and his stock photograph explaining his Blackbody Spectrum is still displayed (some damn fool in their ‘cleaning crew’ forgot to sanitize that one), but he is now disingenuously being said to have received his Nobel Prize for mapping the primordial radiation together with George Smoot! John Mather did not map nothing. He measured the Blackbody form of the Cosmic Microwave Background radiation, period. He got the Nobel Prize for that. Smoot did the mapping (otherwise known as ‘anisotropy’ or ‘variations in temperature’) of that radiation, period. He got the Nobel Prize for that. All this has been enshrined in history. There is no room for shell game here. (2). The supporting discovery of the map for which Smoot nobeled. If there is any more doubt, check this out. 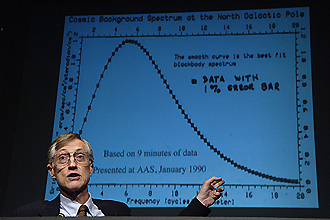 In 1992, the COBE team announced that they had mapped the primordial hot and cold spots in cosmic background radiation. These spots are related to the gravitational field in the early Universe and form the seeds of the giant clusters of galaxies that stretch hundreds of millions of light years across the Universe. This work earned NASA’s Dr. John C. Mather and George F. Smoot of the University of California the 2006 Nobel Prize for Physics. …they had mapped the cosmic background radiation…This work earned NASA’s Dr. John C. Mather and George F. Smoot of the University of California the 2006 Nobel Prize for Physics. John Mather’s own NASA web site was updated on February 18, 2009, and presents this same spin. 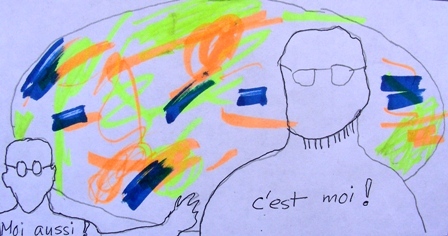 He is also redefining his own Nobel discovery and putting the Cosmic Blackbody behind him! So you can see a NASA-wide, coordinated spin-doctoring effort here. The sign => means ‘directly implies’. NASA’S PREVIOUS CLAIM RE MATHER —Dr. Mather and the COBE team showed that the cosmic microwave background radiation has a blackbody spectrum within 50 parts per million (ppm), confirming the Big Bang theory to extraordinary accuracy. NASA’S NEW CLAIM RE MATHER—…they had mapped the cosmic background radiation…This work earned NASA’s Dr. John C. Mather and George F. Smoot of the University of California the 2006 Nobel Prize for Physics. What NASA is trying to do here now is to obliterate Mather’s fraudulent discovery of the Blackbody Spectrum, and accommodate both Smoot and Mather in Smoot’s discovery of the map. Burn down to the ground Mather’s accursed house, and let Smoot house him – that is what their spinmeister has prescribed. So they are erasing the Cosmic Blackbody and everything associated with it from their vocabulary from here on out. In other words, of the two photographs you just saw, they are deep-sixing the first one, and squeezing Mather into the second one, next to Smoot. Whether Smoot wants this or not. Capice? Be prepared for this defense from the establishment: Technically, Mather was the “Manager” of the whole thing, and in this sense he is a co-discoverer of the Smoot map. You know what to make of this type of oxdung artistry. Or ask Smoot. He might have some choice words. Thus, this cutting edge US Government Agency is trying to synthesize two grand lies into a neat payload of ‘truth’ and launch it upon the World. Rather than acting honorably in the manner of a great nation that has erred, the US is acting like a bunch of petty people trying to cover their own stinking little butts. By their studied inaction, the US Governent is complicit in this, as are the US Congress and the World media. The relevant members of the US Congress in this case are Rep. Bart Gordon (D-TN) and Sen. Bill Nelson (D-FL) who head oversight committees on NASA. And by their studied silence, the academia is very actively complicit. It is the same weird value system here as we have seen with the financial crisis: People who have acted badly are the people whose butts it is of paramount importance for the nation to save. To me, this takes the cake! Gone is the earlier, all-pervasive John Mather Blackbody Spectrum with 50 ppm accuracy! Instead we have heat and color. Next stage they will move to aroma and taste. By the time they get to ethos and ennui, nobody will remember the Blackbody. The entirety of Big Bang Cosmology is bogus. The entire community of Big Bang scientists represents a community of bogus scientists, starting with that scourge on physics, Stephen Hawking. They fooled you once with the bogus Penzias-Wilson Big Bang discovery. They fooled you twice with the Mather-Smoot Big Bang discovery. How many times does it take? For its part, NASA is just prolonging the demise of Big Bang through knee-jerk public relation techniques. They think they can spin their way out of the Mather problem. They are wasting the taxpayers’ money, and engaging in foolish Madison Avenue tactics where raw scientific honesty and exemplary government integrity are called for. They are not listening to President Obama’s clear policy statements about accountability and transparency. Is it any wonder that the White House is letting NASA stew in its own juices for a while? It is time for heads to roll in NASA. The IG was a good start. This well-crafted transition of NASA’s communication is a clear, official admission that Mather’s legendary Cosmic Blackbody Spectrum no longer stands. Therefore his Nobel Prize was obtained by fraudulent means. This NASA web page is in truth a disguised Press Release rescinding the discovery in unequivocal terms. On a personal note: 5 Apirl 2009 will be two years since I made my public allegation of science fraud. Just before the first year was out, Mather was drastically and abruptly demoted by NASA. Shortly after that, public signs emerged that the scientific community was systematically expunging the Mather Blackbody from within its midst. Then Mather himself issued a public statement that he would not commit science fraud. Just before the second year is out, NASA is fully fessing up. These are enormous and tangible and unprecedented changes in the World that I have brought about singlehandedly, with no resources but my Internet connection and no help that I am aware of. Who else can say that? Two years to bring the highest and the most powerful group of intellectuals in human history, the contemporary physics establishment, down on their knees before me – not such a slow going, huh! As to not receiving any help, I should mention that I had given reasons to the Nobel organization and the Obama Administration to demand accountability from NASA, but we can never know if they did anything. The assorted anonymous Internet pundits who disagree with me and thwart my efforts by trying to diminish my message, please use your dexterity with the keyboard to make a meaningful contribution to your own cause: Get a statement from NASA that I am wrong. Everyone, including myself, will appreciate this. Or make a post under your real name and the name of your university and department. I am sure people will take you far more seriously if they can verify your bona fides. If you are a parent with your wide-eyed kid interested in space, this is about the time to fly off the handle. Even as NASA is posturing about including kids in their mission, they are lying to you. How can you distinguish anymore their lies from their truth? How can you expose your kid to this? Let me see some just indignation. Fear the goat from the front, the horse from the rear, and NASA from all sides. If NASA objects to this post, they can send me an email, and I will cut-and-paste it here below in the public interest. I have sent to NASA HQ a link to this post about 4 pm EDT on this day through their “Ask NASA” web mail, the only electronic means of communication I could find. Because a new wind is blowing, and they are old fools. Still and all, past the golden ages, this is the Age of Fakery. It is in full swing. When all is said and done, the fakers will continue to laud the fake discoverers. There I cannot help you. May be the White House can help. May be the Nobel organization can help. But not I. An amount of $707.90 invested in 1968 by the International Astronomical Union (IAU) saved the World today from the greatest fraud in history, perpetrated by the highest intellectuals in history, utilizing the most advanced technology organization in history. So there you have it – the after-the-fact redefining of a Nobel discovery! 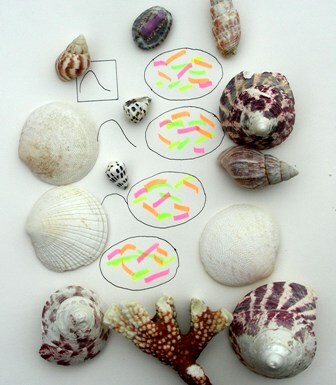 Such is the amazing handiwork of people who might be aptly described as the National Alliance of Shellgame Artistes. This activity seems to continue unabated under the new NASA Administration. Yo Gen. Bolden! Wassup? Haven’t got things under control yet? If you want to know what is really wrong with NASA, don’t ask the Augustine Commission. They don’t know anything. And most of all, don’t ask people inside NASA. As a wise African-American proverb has it: Ain’t no sense in asking the cow to pour you a glass of milk. Read my blog. That’s the only way. AN UPDATE ON 17 AUGUST 2009: SUBLIME TO BIZARRE! Man I thought I had seen everything! But you live and learn. In the much-ballyhooed John Mather lecture at the Mars Society Annual Meeting, Mather appeared there – complete with legal counsel! See my later post. AN UPDATE ON 27 AUGUST 2009: THE OLD TUNE! However, in an interview given to an obscure Italian site, John Mather lays full claim to the discovery of the 50 ppm Cosmic Blackbody Spectrum made by his “very brilliant experiment”! So what gives? Are Mather and NASA singing different tunes? Read it here. AN UPDATE ON 22 OCTOBER 2011: THE COVER UP IS OFFICIAL! Whatd I tell you?!! Please see this graphic. This entry was posted on April 3, 2009 at 11:53 am and is filed under NASA's COBE Satellite fraud, Nobel Physics discoveries disappearing. You can follow any responses to this entry through the RSS 2.0 feed. Responses are currently closed, but you can trackback from your own site.